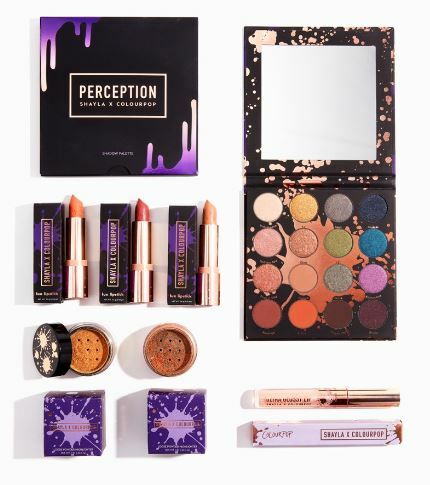 A couple of weeks back, Colourpop released a new eyeshadow palette in collaboration with MakeupShayla, along with a few other products in the collection. 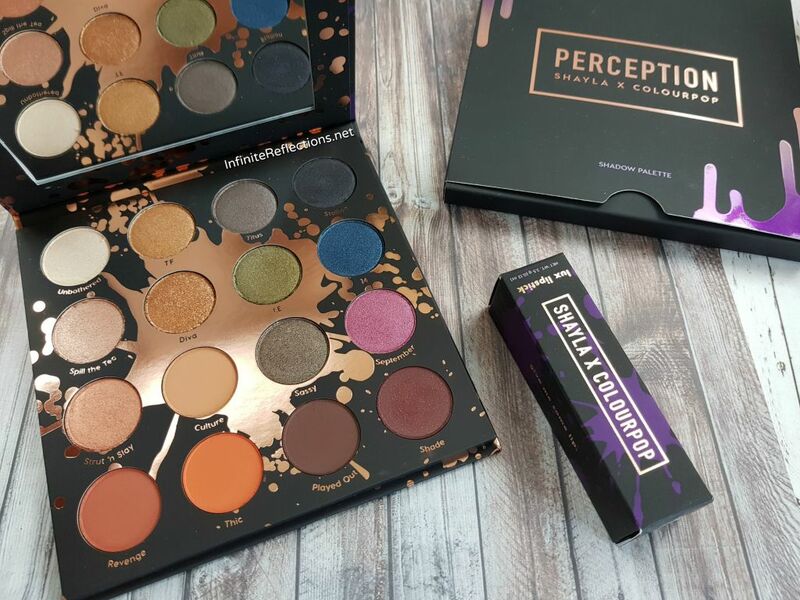 The eyeshadow palette is called Perception and I got really interested in the colours, so I purchased it along with one of her lipstick shades. 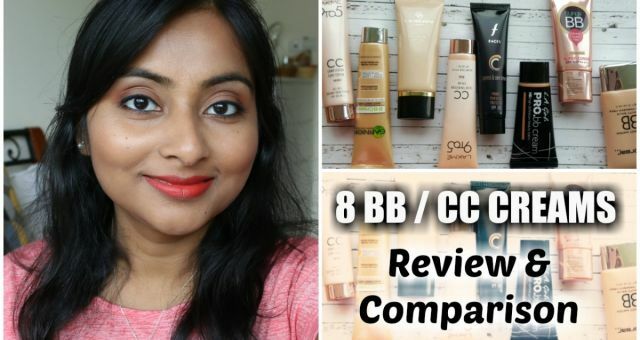 In this post, you can see the swatches and my thoughts on the products I picked up. Which are the other products? 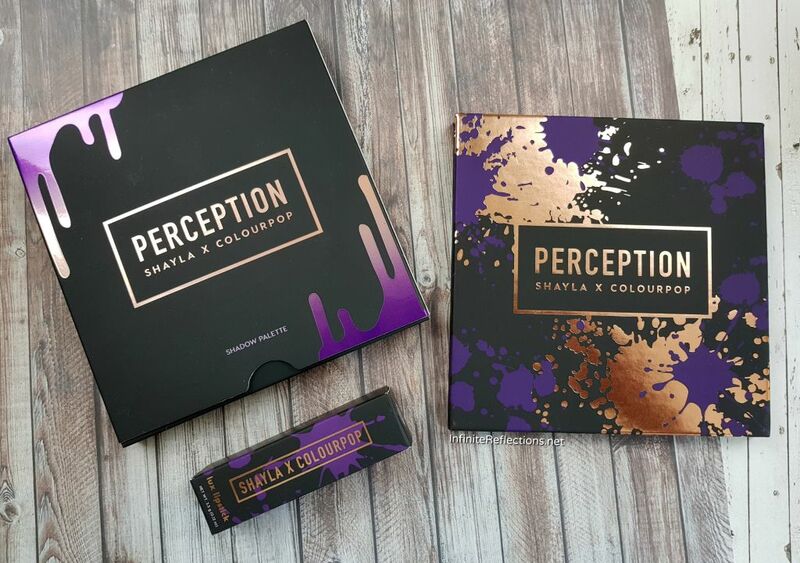 The whole collection is called “Shayla X Colourpop” collection and it includes 1 eyeshadow palette, 3 Lux Lipsticks, 2 loose highlighters and 1 Ultra Glossy Lip. I was interested in only 2 products out of all, so I picked up the eyeshadow palette and 1 lipstick called C’mon Sis. Where did I buy them? I purchased the items from the Colourpop website. How much do they cost? The eyeshadow palette retails for USD 23 or SGD 30 (approx.) and the Lux Lipstick is for USD 7 or SGD 9 (approx.). I think price point is quite fair specially if you are purchasing from the US. How much product do we get? There are 16 eyeshadows in the palette and each shadow is 1.10 gm (0.039oz) which is pretty standard Colourpop shadow size. The lipstick comes with 3.5 gm (012 oz) of product. How is the packaging? Needless to say, I am drooling over the packaging. Those of you who new here, must know that I am attracted to purple like a moth to a flame, and this purple and black packaging is stunning. Even, the Lux lipsticks have custom packaging which looks so pretty. I am in love with the theme of this collection. 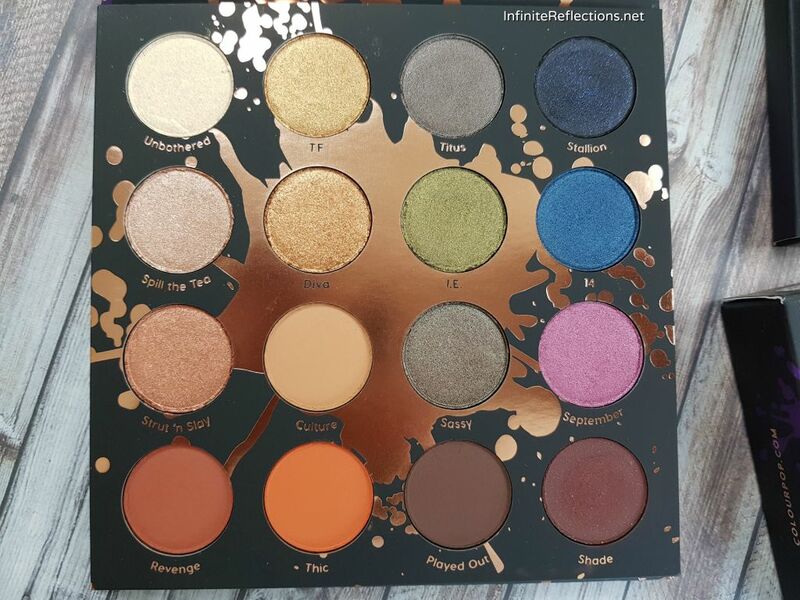 This shadow palette has 16 eye shadows, so it is slightly bigger in size than the regular 12 pan eyeshadow palettes from Colourpop. But, this palette also comes with a good sized mirror, which is missing from most of the other palettes. The shadow names are printed next to the pans which is a welcome change for sure. They are also mentioned on the back as always. What is the finish of the shadows? 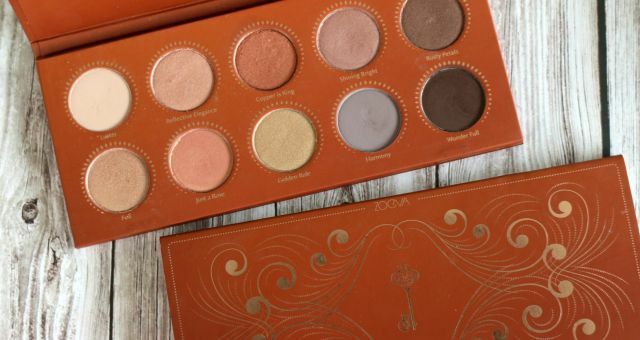 This palette has 16 eyeshadows in both matte and metallic or shimmer finishes. As per the Colourpop website, this is how each shadow has been described. There are 4 true matte shades, 2 mattes infused with glitter and 10 metallic shadows. How was my experience? I am really impressed with the colour selection of the palette. There are a lot of shades which can be mixed and matched to create variety of looks. The overall quality of the shadows is pretty good, but, I did face some issues working with some of the shades. 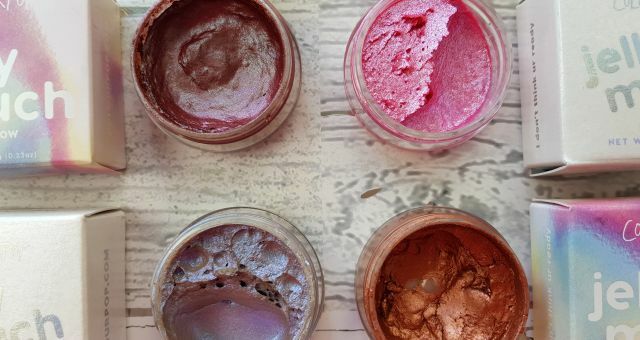 First, let’s talk about the metallic or shimmer finish shadows. I am quite impressed with the metallic shades in the palette but they do not have the desired intensity at one go. I had to build up the intensity by layering the shadows, which is fine with me as long as it is easy to build up. Over a primer, they apply much better in my opinion. I am more impressed with the neutral metallic shades than the coloured ones. The coloured ones need to be built up and layered more to get intensity on the eyes. On a positive note, pretty much all of them are really smooth, apply with a smooth texture on the eyes and are very easy to build up. So, I think with some practice, anybody will be able to work with the metallic shades. Another point to note is that I faced a slight fallout with the green metallic shade. It may be a good idea to do the eye makeup first whenever using this palette. On the other hand, there are 4 true matte shadows and 2 mattes with infused glitter in the palette. 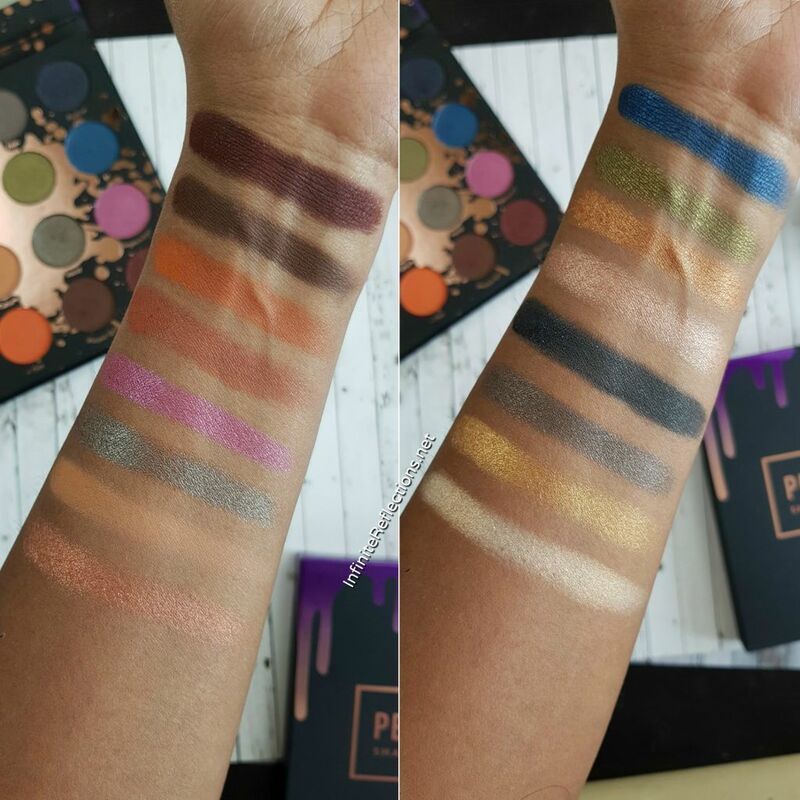 The pigmentation of the matte shadows is great and the texture is smooth and creamy. Most of them blend easily as well. But, I faced issues with the deeper matte shades, namely “Played Out”, “Shade” and “Stallion”. These shades are almost too powdery and have a lot of kick up in the pan as well as fallout on the eyes. They tend to blend away very easily on my eyes and don’t build up in intensity without a primer. Those three shadows seem to work only when I have a primer down or some sort of a sticky base. So, that is something to keep in mind while working with these shadows. In short, I was able to work with this palette very easily with a primer down. Without a primer, some of the shadows could be tricky to work with. Since, I used a primer, the shadows lasted really long on my eyelids (close to 6 hours mark). The lipstick shade C’mon Sis is really pretty. Its a very everyday friendly colour. 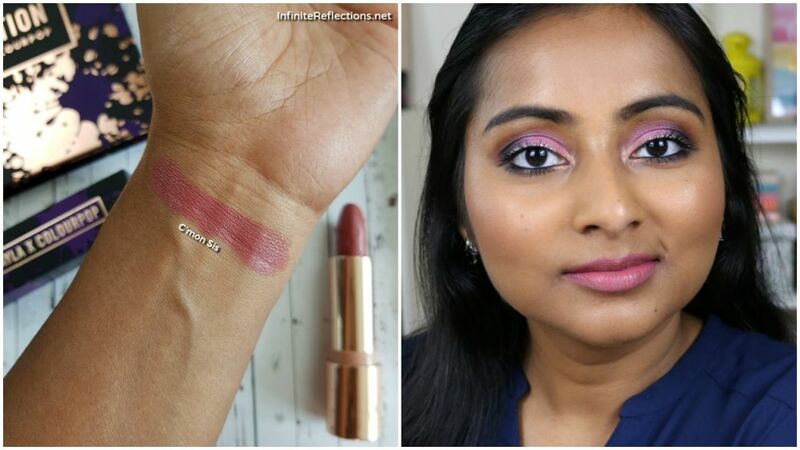 The Lux Lipstick formula is nothing different from any regular cream lipstick formula. The pigmentation is really good and I don’t need to layer the lipstick to get full opacity. A major downside is that I have to constantly reapply as they tend to fade away and move around very easily. But, for the price, I think they can be worth a buy if a colour looks interesting. Overall, I like the palette a lot. Its an affordable versatile palette and can be considered if those colours are not already in the collection. I have done a review and demo video on the palette as well. I will link here if anyone is interested. That’s all for this post. Hope it helped. Colourpop Jelly Much Shadows | How to Apply? I really like blue and green shadow in this palette. 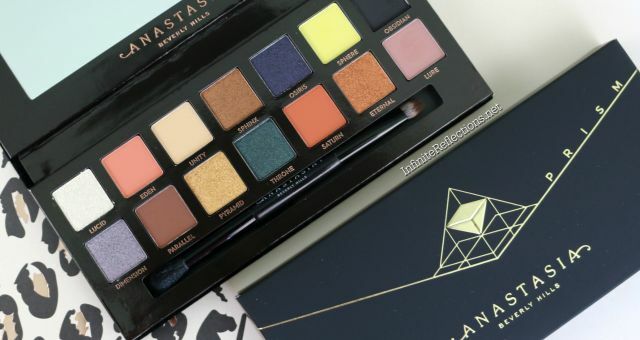 I love the colours in this palette but from your review it seems it’s not effortless. Totally in love with the colours. A perfect palette. It can be used in so many ways. Loved the blog as well as the video.